Both sexes fully winged. Body, antennae and legs light brown, with tergal antecostal ridges darkest; fore wing weakly shaded. 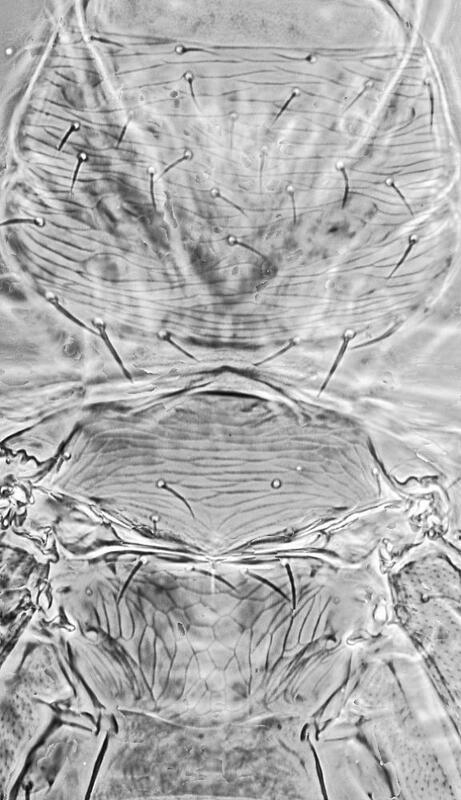 Head wider than long, with lines of sculpture between ocelli; three pairs of ocellar setae present, pair III close together within ocellar triangle. 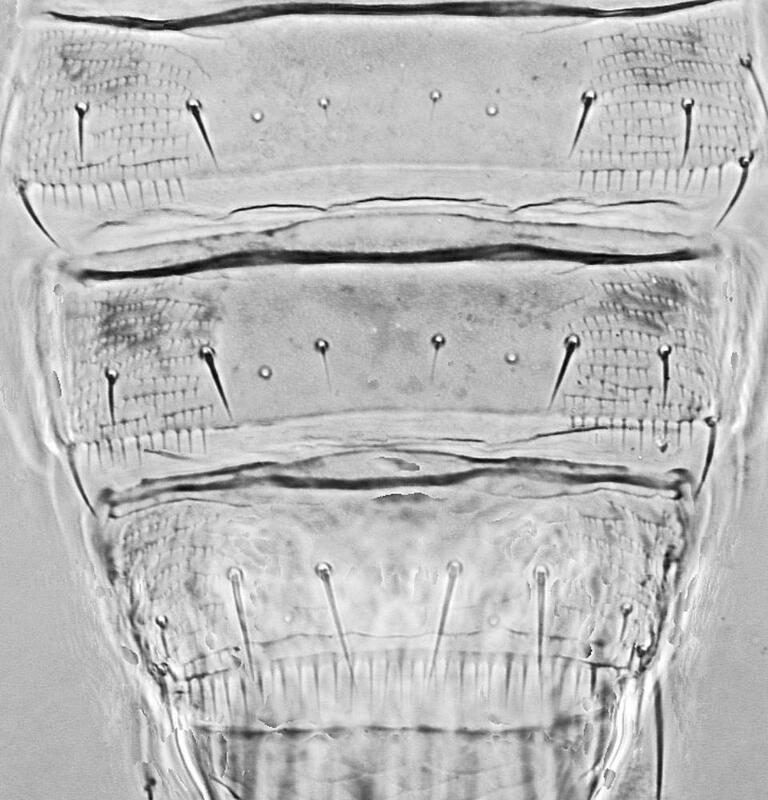 Antennae 6-segmented, segments III–IV with small forked sensorium. Pronotum with transverse lines of sculpture widely spaced, one pair of prominent posteroangular setae. Mesonotal median setae arise well in front of posterior pair. Metanotum reticulate, median setae near anterior margin. Fore wing first vein distal half with 3 setae, second vein with 4 widely spaced setae. 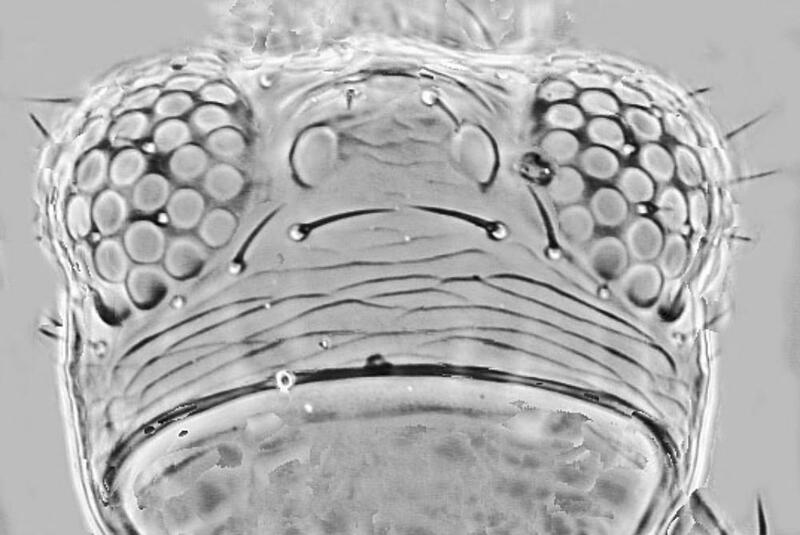 Abdominal tergites with no sculpture medially, closely spaced rows of microtrichia on lateral thirds; tergites II–VI median setae widely spaced, on VIII longer than distance between their bases; tergite VIII with long posteromarginal comb of microtrichia. Male smaller; abdominal tergite IX with pair of long dark drepanae laterally extending beyond abdominal apex. Only one species is placed in the genus Drepanothrips. 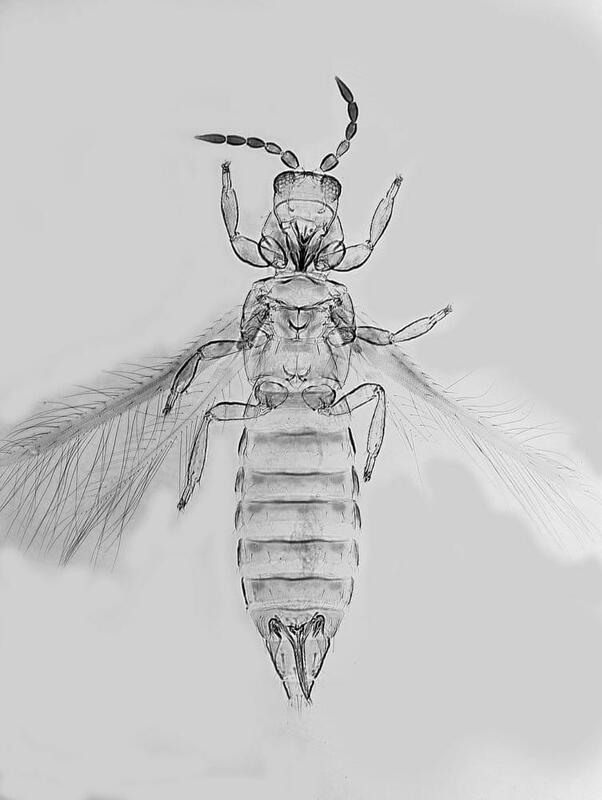 This is similar in structure and biology to the species of Scirtothrips despite having the terminal three antennal segments fused into one large segment. Vitis vinifera (Vitaceae), also Quercus robur (Fagaceae), Betula and Corylus (Betulaceae). Causing leaf damage on grape vines. Recorded widely across Europe from North to South, also California, Chile and Illinois.